What is the Teacher/Student Package? This package is a discounted package for teachers ranging from pre-school to college and students of high school or college. Colllege students must show their student ID. No! This isn't a dance class, it's just a fitness class based on dance techniques. Coordination is NOT required! 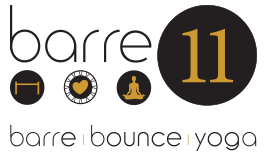 I haven't exercised in a while, will Barre 11 be good for me? 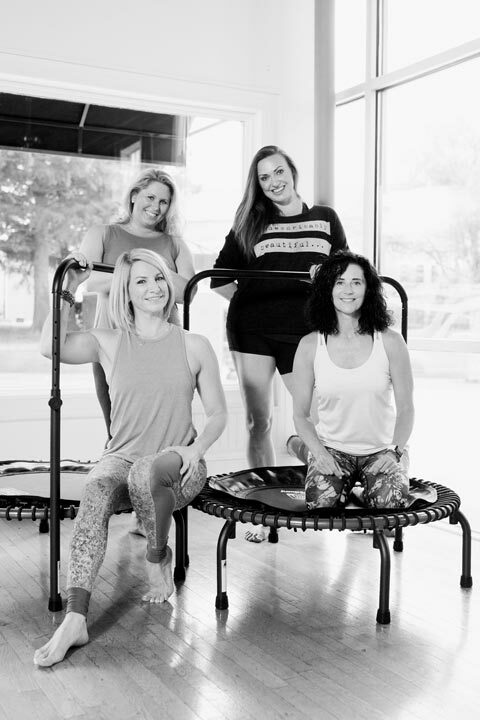 Yes; there are modifications for every exercise and barre is a low-impact form of fitness. It's as hard as you make it! There are modifications for each move to make them easier or to make them harder. Your instructor is equipped with the knowledge to help you tailor your workout to your needs. We typically do everything barefoot. Toe socks are okay. Just dress so you're comfortable: yoga pants, tank tops, t-shirts, anything that moves with you. See some of what we wear on our retail page. Can I take my first class free? Yes, your first class is free, but from that point forward you are no longer considered a "new client". Once you are no longer a "new client" you are not eligible for introductory or "new client" specials. Create an account or sign-in to our scheduling system. Click "sign-up now" to register for classes. To complete our liability waiver, simply click the tab on the lower left side of this page (if you are on a computer). Your waiver will be in our digital system and you will be ready to go when you walk through the door. How will I know if I get off the waitlist? You will receive an email if you get off of the waitlist and into the class. All clients must cancel within the 4 hour time period before class. This is to ensure that people on the waitlist have enough notice to make it to the class. If you are a no-show or late cancel with less than 4 hours notice or night before by 10pm for all morning class (see below), you will either lose the class out of your class package or be fined $10 if you are on an unlimited plan. When a class is pre-booked to capacity, you will be asked if you want to sign up for the waitlist. Don’t let the waitlist stop you from signing up! There’s a very good chance you will get into the class you have requested. As long as you have signed up for our email or text notifications, you will receive an email or text that you have been added into class. If the waitlist is full, you can always check back closer to the class start time. Spots typically become available near the required cancellation window. 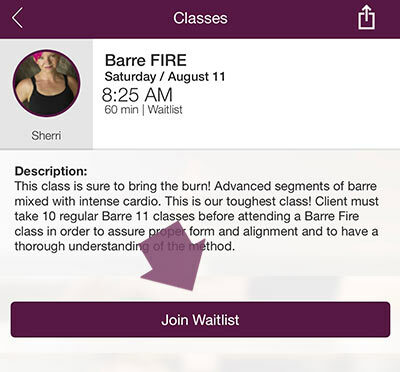 You can always check your waitlist status by viewing “My Info” in your Mindbody account. If you are not a VIP(one year pre-paid member), you may see your waitlist position fluctuate down and up as our VIPs receive waitlist priority. Please note, if you can no longer attend, you must cancel your waitlist reservation just as you would a non-waitlisted reservation. MUST be canceled by 10pm the night before your class. MUST be cancelled 4-hours prior to the start of class. Unlimited members will be charged $10 for any no-show or late cancel. All package members and drop-ins will lose their drop-in class or a class from their package for no-shows or late cancels. VIP members will receive 10 free late cancels/no shows. No-show and late cancel fees are charged at the beginning of every month for ALL no-shows/late cancels for the month prior. For example, if you had 4 no-shows and 1 late cancel in the month of July, then you will be charged $40 at the beginning of August. Barre 11 has a playroom with a babysitter on staff during Monday/Wednesday/Friday morning classes. Cost is $5/child. To register your child for Youth Services, email info@barre11.com with your childs name, age, and the time/day needed.